Routing tendons in straight paths along an elastic backbone is a widely used method of actuation for continuum robots. Tendon routing paths which are general curves in space enable a much larger family of robots to be designed, with configuration spaces and workspaces that are unattainable with straight tendon routing. 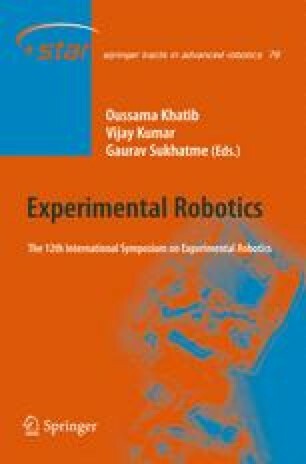 Harnessing general tendon routing to extend the capabilities of continuum robots requires a model for the kinematics and statics of the robot, which is the primary focus of this paper. Our approach is to couple the classical Cosserat theories of strings and rods using a geometrically exact derivation of the distributed loads that the tendons impose along the robot. Experiments demonstrate that the model accurately predicts tip position to 1.7% of the total arc length, on a prototype robot that includes both straight and helical tendon routing and is subject to both point and distributed loads.